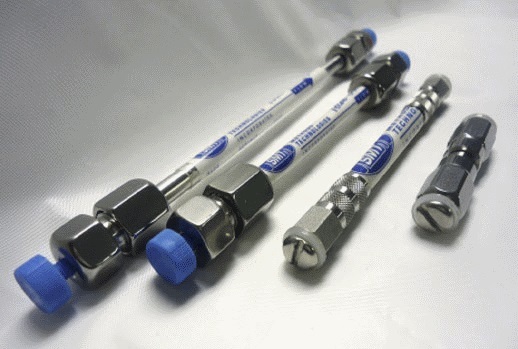 SMT manufactures MEB columns with short carbon chains for rapid analysis of basic, neutral, and mildly acidic drugs and small molecules and biomolecules. 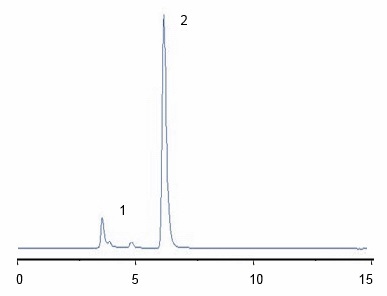 These columns provide excellent baseline resolution for small basic molecules including therapeutic drugs. The bonding scheme ensures proper deactivation substrate silanols and resistance to acid hydrolysis. 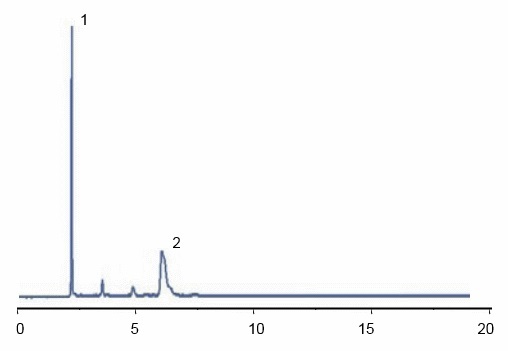 Reversed-phase HPLC has been a valuable tool for the separation of variety of molecules including organics, pharmaceuticals, drugs, biomolecules, and natural products. 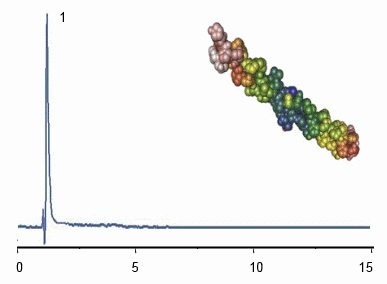 Most analyses are performed using long-chain C18 and C8. These bonded phases are very popular because of their ruggedness and stability in generally harsh mobile phase environments. However, extended separation time and low efficiency have also been observed in many molecules of interest. For example, in separation involving biomolecules such as hydrophobic proteins, excessive hydrophobic interaction may actually result in denaturing of the proteins. 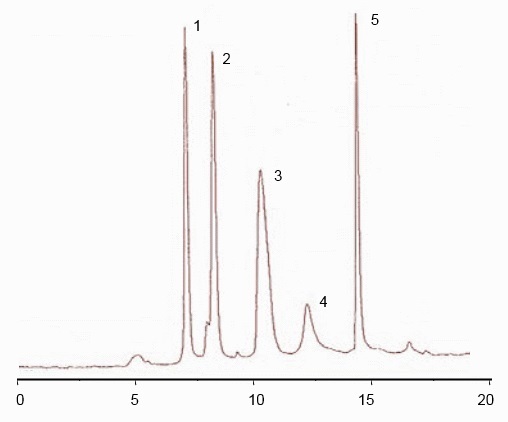 MEB (Methyl, Ethyl, and Butyl) columns are particularly superior to other reversed-phases in the separation of compounds that show very strong hydrophobic interaction with hydrophobic stationary phases such as C18 and C8. MEB columns offer extremely fast mass transfer and high efficiency in the separation of these compounds. Specific applications include separation of proteins, peptides and food additives. SMT offers 3 different MEB phases of varying carbon loads for optimal selectivity. MEB1 series: SMT MEB column with the shortest carbon length. 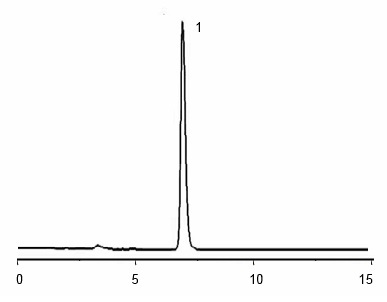 The functional ligand is methyl, C1 with carbon analysis results of about 1% carbon load. In these series, a very high density of the functional ligand, methyl molecule or C1, is achieved through a novel method of molecular assembly that ensures maximum coverage of the short chain. These phases are the least hydrophobic of all the MEB columns. Offers selectivity for polar and nonpolar pharmaceuticals, natural products, very hydrophobic proteins and biomolecules. Longer column lifetime than traditional C1 columns. MEB2 series: SMT MEB column with only two carbon chains. 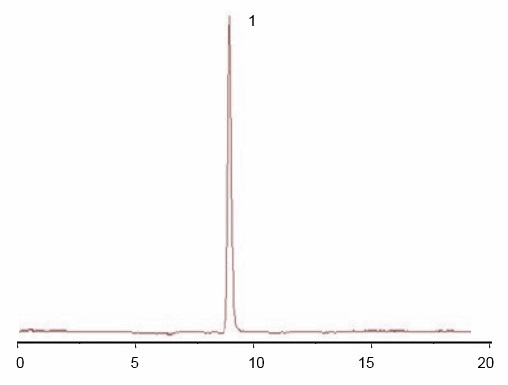 The functional ligand is ethyl, C2 with carbon analysis results of 2% carbon load. In these series, a very high density of the functional ligand, ethyl molecule or C2, is achieved through a novel method of molecular assembly that ensures maximum coverage. These phases offer medium hydrophobicity when compared with all the other MEB phases. Offers selectivity for polar and nonpolar pharmaceuticals, natural products, very hydrophobic proteins and biomolecules Longer column lifetime than traditional C1 columns. Remarks: Clarithromycin prevents bacteria from growing by interfering with their protein synthesis. Remarks: Bacterio-opsin is a very hydrophobic membrane protein useful in the study of protein folding, stability and structure.